Bitcoin has become so popular in recent years. This cryptocurrency based on the blockchain technology is getting more and more attention from people around the world. If you have been paying attention to the financial news recently, you must know that the price of bitcoin has increased many hundreds of times in a short period of time! When it comes to selling and buying bitcoins in China, it's more difficult to do so at this moment. That's because the Chinese government decided to shut down local bitcoin exchanges such as OKCoin, Huobi etc. in 2017. As a result, people in China will no longer be able to buy and sell bitcoins with their RMB as easy as before. As a matter of fact, bitcoin used to be very popular in China. The bitcoin trading volume used to be extremely high in China, just before the Chinese local bitcoin exchanges closed their door. Facing the problem of not being able to trade bitcoins at local bitcoin exchanges in China, many Chinese people have turned to other methods to buy and sell bitcoin. Some people decide to trade bitcoin offline, meaning buying and selling face-to-face. Other people in China have changed to use foreign bitcoin exchanges such as Coinbase, Bitfinet, Kraken etc. to do their bitcoin trading. However, opening such a foreign bitcoin exchange account is not an easy task for most people in China. Therefore, the usage of foreign bitcoin exchanges in China is not as high as compared to other countries. Some people in China have been using OTC (over the counter) bitcoin exchanges to buy and sell bitcoins in China. This kind of bitcoin exchanges includes localbitcoins.com etc. and can be used as a platform or middle-man for people to trade bitcoins in a peer-to-peer fashion. Some people suspected that the Chinese government might allow bitcoin exchanges to operate in China again in the near future. If that's the case, it will make buying and selling bitcoins in China become much easier. 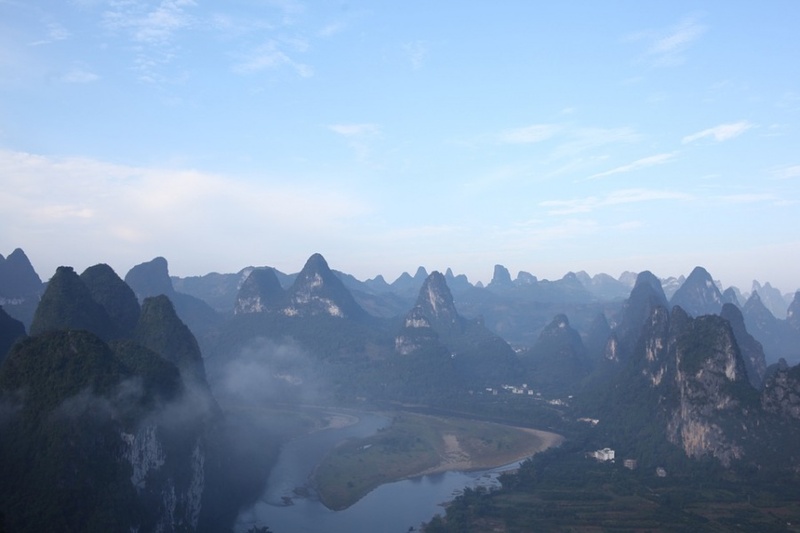 Like many other countries, china has some of the most beautiful sceneries with a rich history that one can enjoy. It’s therefore a great place to visit at least once in a lifetime. Some of these places have the unique combination of historical and modern cultures that aren’t only exciting but will also expand your knowledge about this nation. Other than that, you can get some great artifacts on your trip. However, before taking any trip especially the first time travelers, you should prepare adequately to avoid any mishaps. Knowing what to do can help you a great in this area. The list below has some helpful tips on what you should do before traveling to china. China has many great destinations like Beijing and others. All these make great destination and offer different experiences. Pick one that you think suits your travel expectations best. You could base your decision on whether you’re a subsequent traveler or you’re going for the first time since some of these places are great for first time visit. It’s not just important to have cash, but also to have the right currency. Even though most people operate with credit cards or even mobile money transfers, it’s safer to put aside a good amount of cash to aide in your travels. Ensure you can access china’s currency before landing there; otherwise, you won’t be able to do anything since they only accept their currency. Different countries experience different weather changes in different seasons. Depending on the season you want to travel, do some research and find out the weather pattern in china before embarking on the journey. Not carrying the right clothing is usually one of the mistakes most people make and it leads to spending extra money trying to buy the right attire or not having fun at all. You might have heard of that if you stay in China, the Internet is filitered by the government and many websites are blocked. You will not be able to visit Facebook, Twitter, Youtube, Google and many other sites while staying in China. Be best way to solve this problem is using a good VPN for China. Before you begin your trip to China, make sure you have a good VPN ready. Try to find out the location of your embassy. Internet has made such tasks easy nowadays. Whether you’re going to china on vacation or for other reasons like work, at least have an idea about this location so you can find it easily in case you run into trouble. It’s just a safety precaution. This mostly applies to those who live alone. It’s better to let your family members know your travel plans so they can know your whereabouts. This will put all of you at ease since they’ll know you’re safe and you’ll have someone looking out for you. China is a great country. No question about that. When you are traveling in China, you will be amazed by the rich culture, long history and fast development of this country. However, there's one problem when you stay in China: the Internet. If you have not heard of the Great Firewall of China (also known as the Golden Shield Project), You should start learning its power. Basically, it's a firewall in China that monitors internet traffic and blocks websites that are not "Good". Many websites are blocked in China: Google, Twitter, Facebook, YouTube, Instagram, Pinterest, The New York Times, BBC, and many many more. That's why people use VPNs to bypass the Great Firewall of China, hoping to unblock those websites. The good news is: VPN is indeed a good tool for unblocking websites in China. The bad news is: many VPNs don't work in China at all, because the Great Firewall also blocks VPN traffic (if it can detect it). Many VPN services just don't work in China at all. For example, HideMyAss, Private Internet Access, IPVanish etc. You can't access the websites for those VPN providers and even if you manage to download their software or app, it won't work. Some other VPNs work in China a little better. For example, ExpressVPN is known for working well in China. Many people recommend AstrilVPN to be used in China. As a matter of fact, there are even some VPN testing services specializing in testing VPN for China. For example, VPNDada. And you can follow their updates on which VPNs work well in China and which don't. It seems like other than the two VPN mentioned earlier, the following VPNs also work pretty well in China: VyprVPN, PureVPN and even some low-cost VPN services. Many people choose to install their own VPN system. For example, you can set up an OpenVPN server outside of China and connect it from China. But the problem is that now the Great Firewall is very good at detecting OpenVPN traffic and once your OpenVPN traffic is detected, you will find you won't be able to connect to it or use it smoothly anymore. That means, your OpenVPN server has been blocked. Another good choice is Shadowsocks, which is a relatively new technology that is known for working even better than VPN. If you can set up a Shadowsocks server outside of China, it would be a better idea than setting up your own OpenVPN server because Shadowsocks is better at hiding from the Great Firewall. But the bad news is: the Great Firewall is evolving and getting better every day. Who knows when your VPN or Shadowsocks will be interrupted and stop working? For this reason, many people choose to have more than one VPN account. This way, there will be a backup one if the main VPN stops working. There are some free VPNs in China as well. If you want to use VPN for a short period of time, those free VPNs might work well enough. But their speed and reliability are usually not compatible with those of paid VPNs. Therefore, it'd be better to spend a few bucks every month to buy a solid VPN service. Let's hope the internet problem will eventually go away in China. For now this doesn't seem likely yet. But let's keep our fingers crossed. Traveling to China is a major vacation, and an incredible opportunity to see and do things you cannot experience anywhere else. Your China trip, whether it’s for business or leisure, will be one of the high points of your life. Before you go, there are some steps you can take to make sure that your travel goes smoothly and you have the time of your life. First, of course, as soon as you realize you’re going to China, apply for or update your passport if necessary, and apply for your China travel visa. You won’t be able to go without these two documents, of course, so make sure you have plenty of time and won’t be worrying, close to trip time, about whether you will be able to go. Get this task out of the way and spend your time preparing for your trip. If you’re planning a vacation, you might consider doing some searching online for discount or “cheap” China travel and group tours to China. This is probably the easiest, and certainly the most affordable, way to travel in China. You can find a variety of group tours, including tours suitable for families, and you may want to consider this when you’re planning your trip. Having a guide/interpreter will make your trip more enjoyable. You might even learn some Tai Chi for a better mind and body. And of course if you’re taking any electric appliances (like a hairdryer) or electronics (from a laptop to a smart phone) you’ll need to get an adaptor so you can plug your items into the wall. Make sure you get an adaptor that works in China, and you might want to consider getting two just in case one dies on your trip. Check out train travel opportunities before you leave, as traveling China by train is one of the best ways to see the breathtaking countryside. Train travel is inexpensive in China, and a great way to get around the country. However, the trains don’t generally offer Western food choices, and if you need snacks, you’ll need to take them on board with you, because they don’t have vending machines on the trains. As long as you’re prepared for this, you’ll be able to enjoy riding the rails in China. Make a plan for what you want to see. 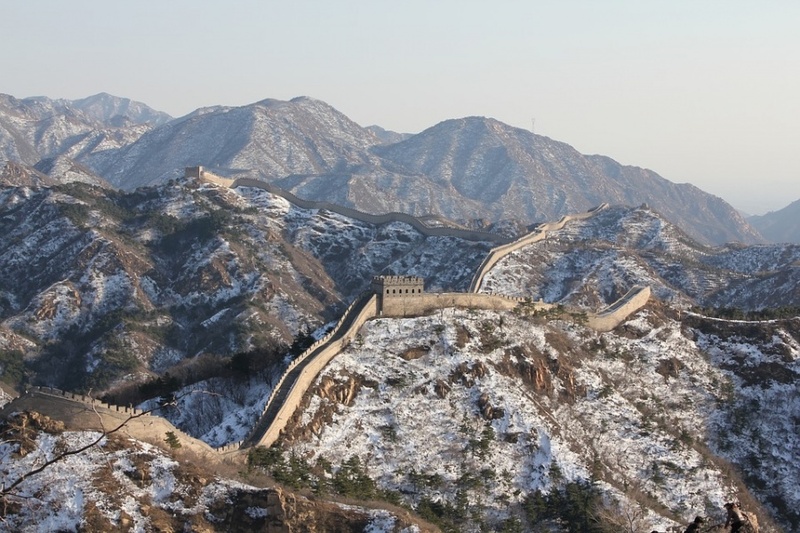 Of course you’ll want to visit the Great Wall and Forbidden City. You probably also want to schedule a trip to Xian to see the terracotta soldiers, and possibly Leaping Tiger Gorge, which is in Lijang. When you talk with your travel agent about your trip to China, make a point of mentioning any specific places you want to visit, and explain what you like the most and most want to see while you’re in China. Taking the time to plan your trip to China and make sure you’re prepared for traveling in Asia, including documents and electrical adaptors, will help you insure that you have a great vacation or business trip and that you don’t miss any of the beautiful sites of China. China is a beautiful land, full of incredible scenery as well as amazing cultural and historical artifacts and architectural sites. You will love visiting China and be awed by the sheer age and incredible loveliness of this country. China is developing at a very fast speed these days. For example, there're many good places to visit in Beijing. And you can find even brand new coworking spaces in Shanghai. The internet speed is very fast in China, although sometimes you need to use a VPN in China to access blocked websites. If you’ve never visited China before, and do not know anyone who can serve as your guide, a group guided tour may be your most affordable and best way to insure that you get the best view of China and see everything this remarkable land has to offer. You can probably find a guided tour by calling travel agencies in your area. You can also ask local travel agencies for referrals to tour companies that operate guided tours in China. And of course you can find hundreds, if not thousands, of guided tours in China online, without leaving your chair. What should you look for in a guided tour? First, you should look at the type of tour, and what you’ll see on the tour. If you have specific sights in mind to see while you’re in China, make sure that the tour will visit those places. If you’re not sure, check with the tour operator to find out, and if that tour doesn’t go where you most want to go, see if they have another tour that does. You should also make sure that the tours you’re looking at are right for you and your family, if you’re not traveling alone. Some groups are geared at families, others are geared primarily at retired couples or individuals, and others are aimed at specific affinity groups, like people interested in a specific subject or alumni of a particular school. You’ll want to find a group tour that fits your personality and your traveling companions, if you’ll have any. Tour length is another major consideration. You may not have time for a fifteen-day tour, or you may have a long tour in mind and not want to consider shorter tours. Most tour companies offer tours in a variety of lengths, so that you can choose exactly the tour you want, for you and your family, at a time when you want to go, and visiting all of the places you want to go. Price should be your final consideration, because if the tour doesn’t suit you, it isn’t a bargain if you get it free. Find what you want in terms of every other aspect of the tour, and then find the price that fits your budget. At this point, if you need to change the duration of your trip or your target destinations, you can change those things, but start by looking for everything you want and try to find a way to fit everything into your budget. A guided tour is one of the best ways, in fact possibly the very best way, to visit China and get the most out of your travel. You’ll have a guide and interpreter, and you’ll know that you are getting good accommodations and travel arrangements. You’ll know where you’re going and have the security of a group. It’s a good way to travel, especially in a place where you’re not familiar with the language.